Hi friends! Today I have the honor of sharing a sweet treat from Britney, a fellow blogger and recent blogging friend! I shared my Creamy Lemon Pie recipe on her page last month. She has a lot of tasty recipes (+ fashion tips!) on her blog, which I know you will find to be delicious and helpful. Hello, my name is Britney and I am the writer behind Seams & Sprinkles. I have been writing on it for about a year now as my creative pastime. It has become my favorite place to share my eclectic style, new recipes and lifestyle fun. More recently, I have been embarking on expanding my social horizons and connecting with new creative friends. On this journey I have been fortunate enough to join forces with Carrie! We connected first on Instagram and then when I offered up some writing space on my blog she jumped right in to join me. She shared the most beautiful and easy to follow recipe for her Creamy Lemon Pie that I will be making for my next family event, they love their lemon goodies and this pie will deliver for all the senses! Carrie has been so kind, inventive and willing to be a real partner in these collaborations. I am so grateful to have been able to start to get to know her and now enjoy the opportunity of sharing something of my own with you through her wonderful page of goodies! 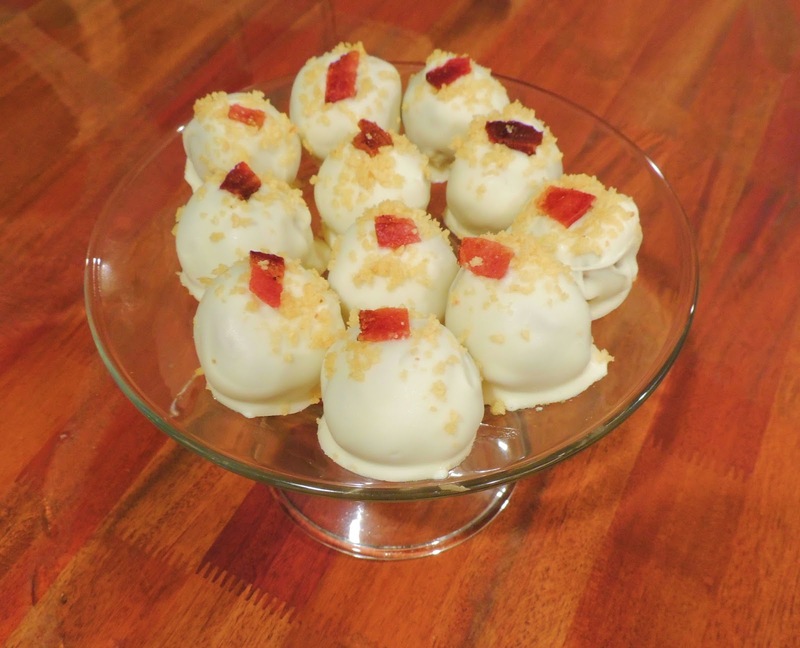 The recipe I will be sharing today is a Sweet and Savory Maple, Bacon, and Potato Chip Truffle. Yes, it is going to be a flavor explosion, so please buckle up because we take safety seriously! :) This recipe, along with many of my sweet and savory attempts, is inspired by my husband. He loves these sweet and savory flavors all rolled into one crazy concoction. I have been coming around to being ok with these things, but it has been a hard journey for me as I was the type that used to use a separator plate because I had an anxiety attack every time my food touched when we were first together. I am mostly over it, but I secretly throw up a little when he takes a bite of his favorite food combinations (sorry honey!). So, what is the first thing that comes to mind as synonymous with man? It has to be bacon right? I could not agree more and that is exactly where I started with these crazy fun-sized flavor explosion balls and the rest is magical history! I hope you enjoy these sweet and savory snacks that would be great for your next event! Cook your bacon according to the directions listed to your textural preference (chewy or crunchy) and allow the grease to be absorbed on a paper towel and cool to room temperature. Chop (blank) pieces of bacon up into small crumbles and set aside. Open the potato chip bag and dump into a food processor and grind the chips until they resemble graham cracker crumbs and set aside. In a large bowl using a hand mixer or a stand mixer, beat the cream cheese until smooth. Add in the 1 tsp of maple extract and beat into the cream cheese until combined. Using a spatula, add most of crumbled bacon and most of the crumbled potato chips and powdered sugar to the cream cheese mixture. You will want to reserve some bacon and chip bits to sprinkle on top of your truffles. Mix until thoroughly incorporated. Next, using a cookie scoop or your measuring device of choice, roll the cream cheese mixture into balls and place on a cookie sheet lined with parchment paper or a Silpat mat. Freeze the balls for about 15 minutes. 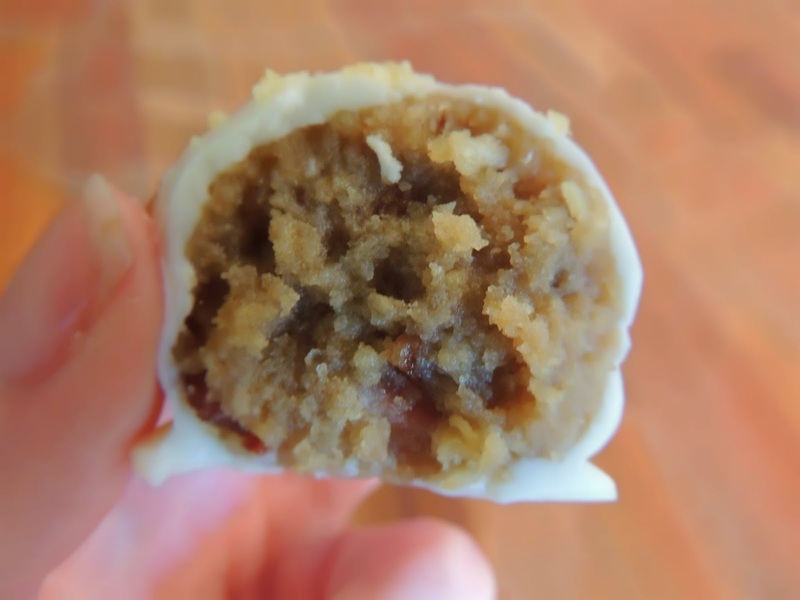 About 5 minutes before the cream cheese mixture balls are set to come out of the freezer, start melting your white chocolate candy coating according to the manufacturer’s instructions until it is smooth and runny for dipping. Let it cool slightly. Take the cream cheese balls out of the freezer and dip into the white chocolate candy coating, letting the excess drip off, and place on parchment paper to harden. Add a chocolate covered potato chip along with a little bit of the bacon and chip crumbles for decoration. Repeat with the remaining cream cheese mixture balls until they are all coated and topped. Let the coated cream cheese mixture balls set until they have hardened. Enjoy your sweet and savory creations! Click here for the printable recipe. Be sure to connect with Britney on Instagram! Wow looks delicious - i love sweet and salty together!